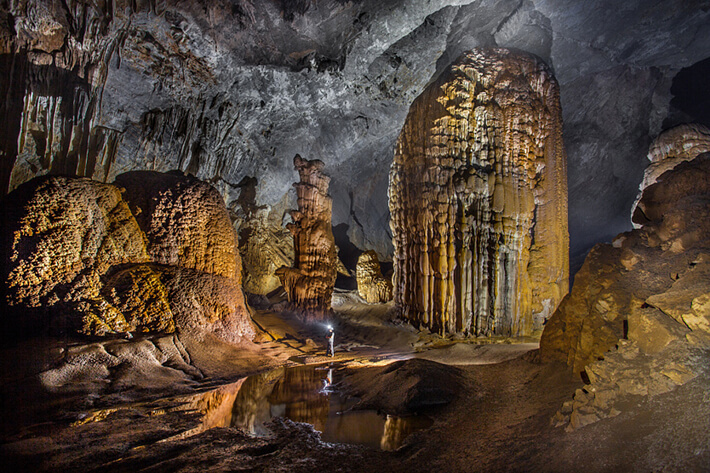 Son Doong Cave has amazing natural structures around every turn. Here you can see some of the gigantic walls created over very long periods of time. Water that is rich in minerals slowly drips down, eventually creating these unbelievable things.